It’s the simple pleasures in life, right? Like seeing a beautiful rainbow after a storm. Now that we don’t live in the city proper, having an afternoon thunderstorm blow through is such a sight to behold. One of the best things about living in Montana is the big beautiful sky that allows you to see for miles and miles; seeing a thunderstorm from so far away and then coming through and then seeing a rainbow afterwards…sigh. It’s just so comforting to me. At any rate, I started with a white base, then created a gradient with Pool Party and Lemonade. It took forever to get it just right! 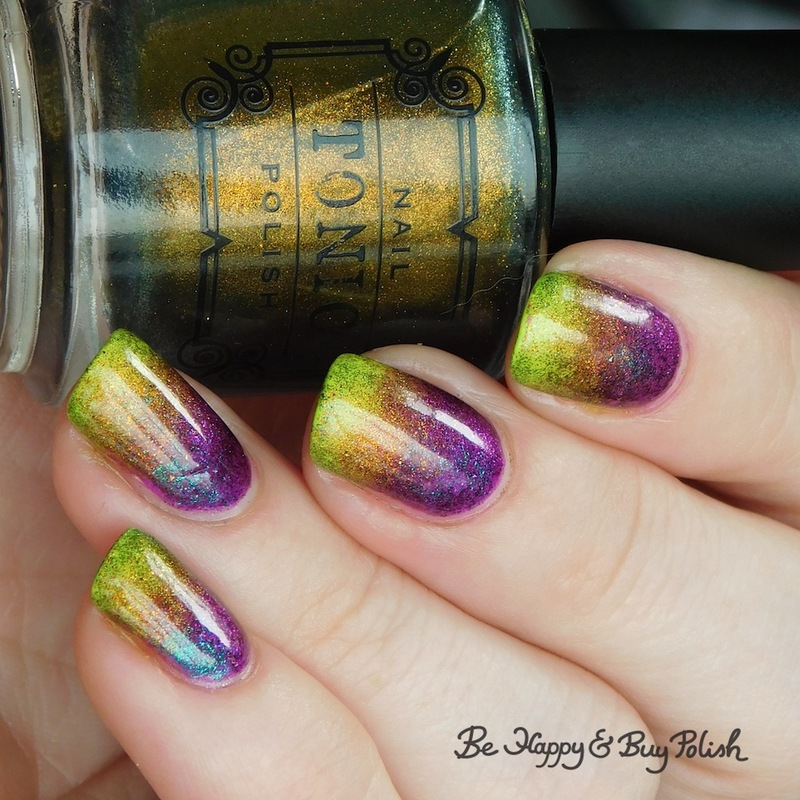 I then used Here Comes the Sun and Mirabilis (both magnetic top coats) over the neon gradient. I really think it came out spectacularly!